In 2015 almost 350 babies in Ireland benefitted from donated breast milk from the bank’s supply service. In many cases, human milk can save the lives of premature babies born at risk of serious intestinal diseases. The HSE has confirmed that there are no plans to build a separate facility in the Republic in preparation for Brexit, and the Department of Health has failed to confirm if it has assurances from the UK that newborns will still have access to donated milk. The government buys breast milk from the bank for maternity hospitals in the Republic. Mothers of healthy babies south of the border regularly donate to the milk bank and are encouraged to by the government when milk is running low. Maternity hospitals often rely on supplies of milk for cases of necrotising enterocolitis, also known as NEC. The condition, to which newborns are susceptible, results in internal tissue decay. 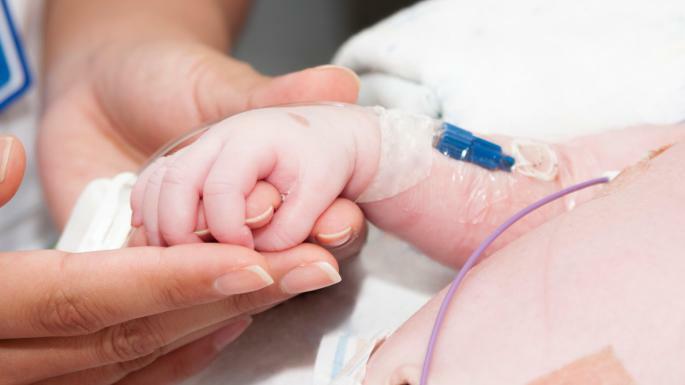 One in four infants diagnosed with the disease dies from it. A diet of breast milk has been proved to prevent the destruction of the intestinal wall. In 2015 more than 4,000 babies in Ireland were born at less than 37 weeks’ gestation. That figure included 46 cases of NEC. In many cases the stress of giving birth to a premature baby meant that the mother was unable to provide a sufficient amount of milk herself. There have been fears that a hard Brexit could disrupt or stop Irish mothers accessing the milk if it results in Northern Ireland changing its policy on cross-border access. Dr Kelleher responded to questions from the Labour party, which called on the government to start planning for the state’s own milk bank to protect vulnerable babies. Kevin Humphreys, the Labour senator, said it was clear that there was “no plan” and no forward thinking on the part of the government to ensure the life-saving supply of milk continued to be accessible. “The only thing that is clear is that Brexit will affect the milk bank detrimentally and there is no plan to minimise that, which is all the more reason why we need to go to a Plan B and develop our own milk bank,” Mr Humphreys said. The milk bank operates its own courier service, but in cases of emergency the Blood Bikes, an emergency team of medical transport volunteers, are used. The Department of Health told The Times that ensuring minimum disruption to the border was a “key concern” during Brexit but added that there would be no “immediate changes” until Britain formally left the EU. “As part of its analysis and contingency planning in relation to Brexit, the Department of Health is currently examining these issues and planning for a range of possible scenarios,” it said.